WATCH THIS MAN'S PARKINSON'S SYMPTOMS INSTANTLY AND COMPLETELY DISAPPEAR WITH ONE DROP OF CANNABIS OIL!! WOW! HE IS A RETIRED PO-LICE CAPTAIN WHO PROBABLY PUT HUNDREDS OF INNOCENT PEOPLE IN JAIL FOR MARIJUANA. It’s Happening — Fiendish creatures End its Bogus Fraudulent D.A.R.E. Anti-Weed Campaign Amidst Outrage Against its Deadly LIES. Cannabis has been shown to kill cancer cells, save the lives of countless epileptic children, treat PTSD, heal bones, treat brain trauma, and a slew of other uses science is only beginning to understand. And yet, the only thing dangerous about this seemingly miraculous plant is that predators will kidnap, cage, or kill you for possessing it. "We beg you to share on this information. Medical cannabis has saved so many lives it’s now a crime against humanity to keep it illegal. This medicine should be widely available. It can even be grown at home very easily. With all the natural cures cannabis provides and it’s ease of growth no wonder it’s illegal. It all makes sense when you realize monopolistic corporations now control our planet, but we are making progress. People are waking up. Only what YOU allow will continue." 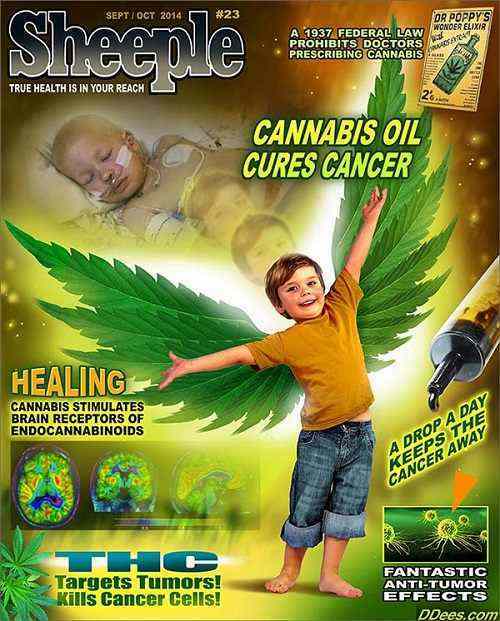 TWO MORE CHILDREN'S LIVES SAVED BY CANNABIS- WATCH THIS!